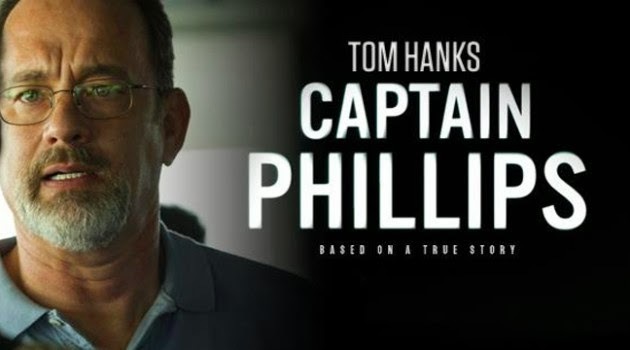 One of our writers commented that they weren't interested by 'Captain Phillips' because it was likely to be "Tom Hanks being Tom Hanks in 'Captain Tom Hanks'". And yet, this should actually be one of the draws of 'Captain Phillips'. Hanks undeniably has screen presence. Coupled with Paul Greengrass' kinetic direction, this dramatisation of a 2009 ship hijack by Somalian pirates serves as one of the better Opening Galas at the BFI London Film Festival in recent years. Hanks portrays Richard Phillips, the captain of the Maersk Alabama cargo ship, that finds itself at the mercy of a small band of armed pirates. Screenwriter Billy Ray pleasingly keeps any reference to race and religion to a minimum - immediately outlining the pirates intentions as "just business". Business driven by intimidation by local warlords, no less. Our sympathies however never lie with the pirates, who frequently squabble among each other and most heinously, turn down an easy $30,000. Barkhad Abdi offers one of the most striking feature film debuts of all time with his portrayal of the lead pirate, whose steely determination is often joined by slightly ominous wisecracks. Hanks matches his foe in the acting stakes, his character showing a quiet resourcefulness throughout the film until its conclusion, where the emotion of the situation is finally (and superbly) conveyed. Greengrass thankfully refrains from an over-reliance of the shaky-cam technique which he has become known for thanks to the 'Bourne' series, in particular. His deft hand for action shines though, in conjunction with Henry Jackman's pulsating score - bringing tension even to predictable lead-up scenes such as the pirates stalking the Alabama on the water. However, the clinical nature of 'Captain Phillips' gives it a sense of inevitability, and ultimately, a nagging hollowness. 'Captain Phillips' premiered in the UK at the BFI London Film Festival 2013 this evening, with another screening tomorrow. Find more info about remaining tickets at bfi.org.uk/lff. 'Captain Phillips' is released in UK cinemas on 18th Oct.